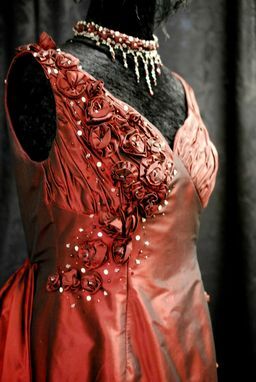 This piece was created to showcase our work at the Seattle Wedding Show. 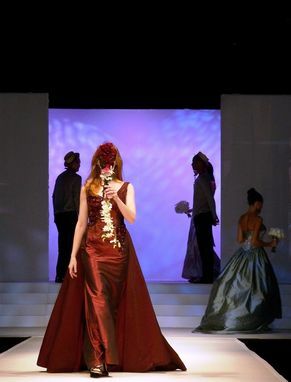 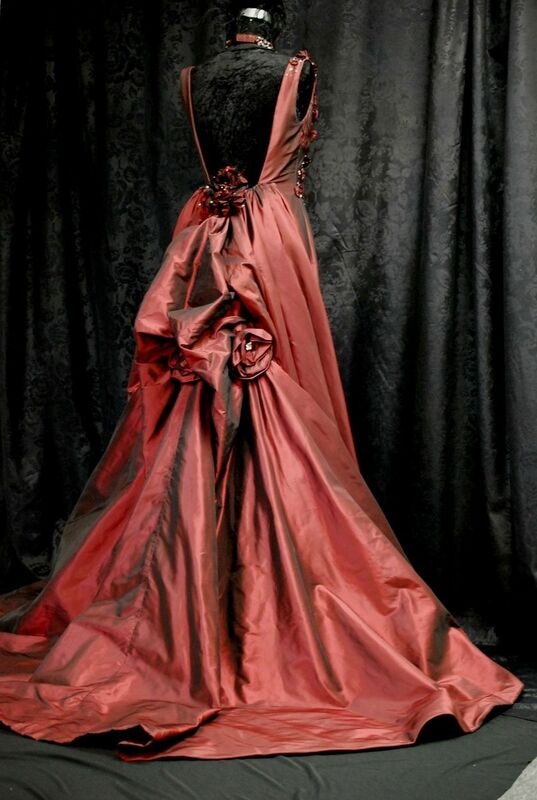 Crafted from silk taffeta and handmade flowers, this dress was a showstopper. 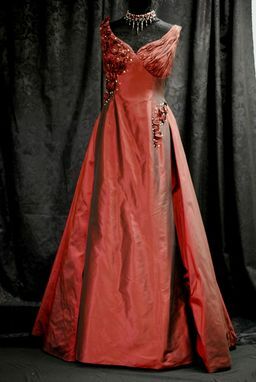 This style of dress is dramatic and would be perfect for a black-tie event.